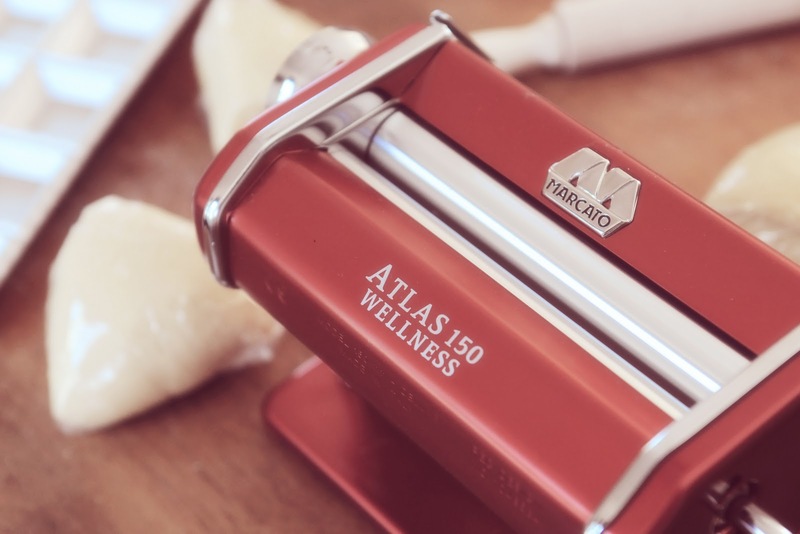 I have wanted a pasta machine for years…a long time…forever! I finally got one for Christmas and it sat in its box for almost a month. I have been waiting for the right time to "break it in". I was so busy during the holidays with the blog that I found I was a little bit burned out that first week of January. 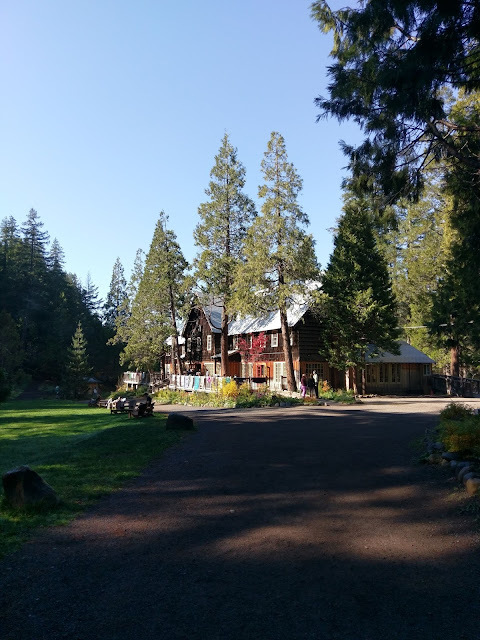 I find that I need time off from the blog on occasion. It gives me a chance to reload, recharge and review what I have done, want to do and will ,without question, attempt over the next few months. Pasta, that is a glorious word in our home! We love it almost as much as we like rice. I have a fantastic recipe for gluten free pasta that I use all the time. It's easy because there is no kneading..NONE. 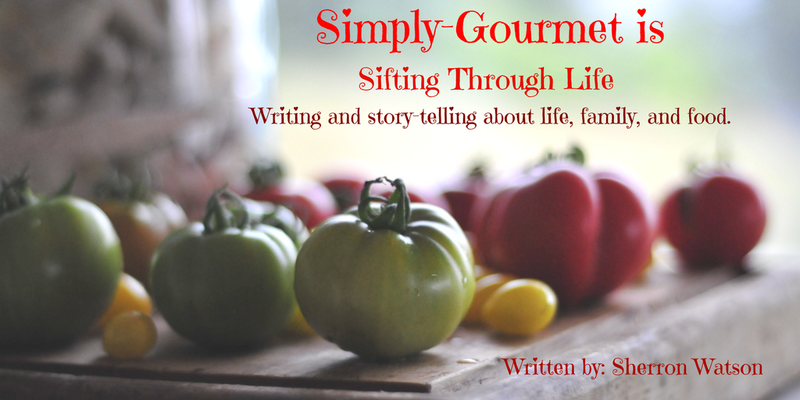 The one draw back that I find with it, is, the recipe uses all starches. I find these to have very little nutritional value and cringe some times if we eat it too much. I have slowly been adding gluten back into my diet. VERY SLOWLY. If I make something from scratch, I have little to no problems, but if I eat some thing that is store bought or in a box it messes with my system. I can't figure it out. So I avoid it and feel much better. Isabella could not wait to get her hands on the pasta roller. I had to help her change the widths but other than that she did just fin. Sunday, I was feeling refreshed and got the goods out of their boxes. It was red, my favorite color. Shiny, so beautiful. I immediately told my oldest daughter that, down the road, she will probably inherit the pasta roller and it could be in our family for years. It made me smile. 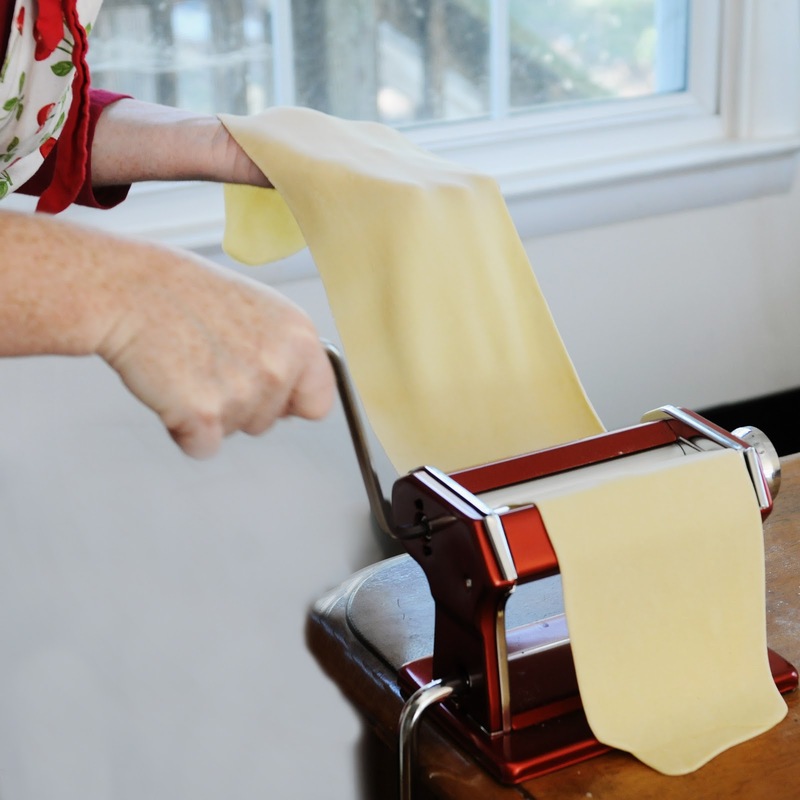 I was determined to use it often so that I could instill in the pasta roller a sense of use, love and family tradition. Isabella made her own spaghetti…she was so happy. A trick I learned when using the small spaghetti maker, is let the sheet of pasta dry for a few minutes. The strands of spaghetti will be perfect. 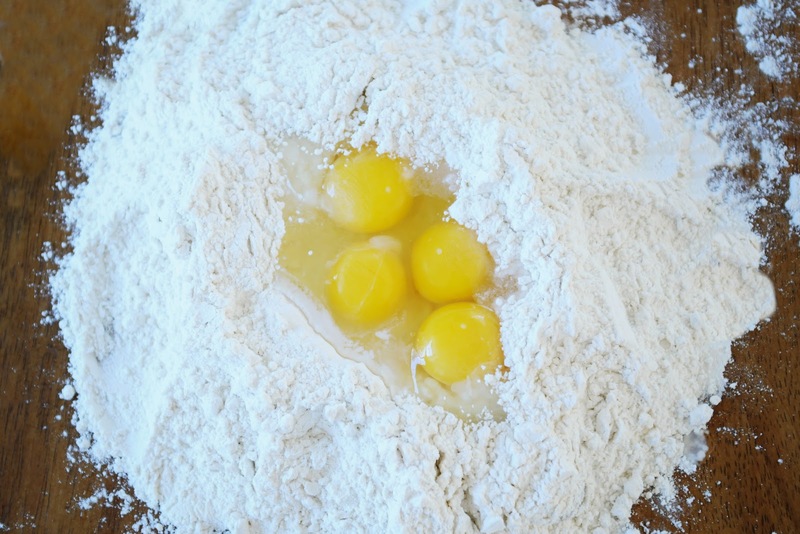 I started the dough like all pasta makers do…flour with a well in the middle filled with egg. I can't tell you how I felt to watch the transformation that the dough goes through as it transorms from a stiff, hard to handle mix to this smooth and silky bundle of yumminess. Just when you think you can't knead for another minute…it changes right before your eyes. You become one, you don't want to stop, you smile. SUCCESS! The recipe for the dough is just a standard flour/egg mixture that I have used in the past. I got it from a friend. The ravioli filling is made up of what I have on hand. It's never the same. Tonight I had spinach and zucchini, always a wonderful combination in my opinion. I can't wait to get another batch of pasta whipped up so that I can experiment with other types of noodles, sheet pasta and filled shapes. Oh, the options are limitless. Mix the salt and flour together and dump on your table. Make a well in center of the flour and add your eggs and 3T. water. With a fork, start mixing the eggs into the flour. I also like to have a metal pastry scrapper so that with one hand I am mixing and the other one I am keeping my flour from going all over the place. Work the dough into a ball. I will be honest and tell you I thought this was never going to work. The dough is stiff and brittle. I keep a bowl of water nearby. As I start to knead the dough and if it feels too dry I wet my hands and go back to kneading. I might do this 3 or 4 times. The dough should not be dry. Kneading time will be about 10 minutes. Around 8 minutes into the kneading you will notice the dough start to become softer and it will get more and more so as you get to the 10 minute mark. After you have kneaded you dough, cut the ball into 4 sections. I wrap each section in saran wrap and let it rest for 30 minutes. 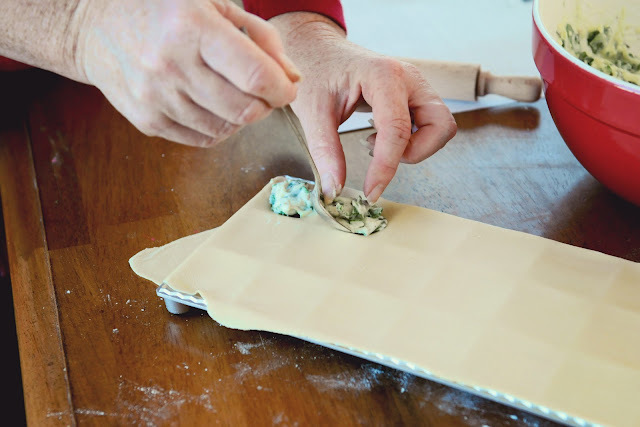 Each wrapped section will make two sheets for the ravioli tray. You will need to follow the directions for your specific pasta machine. I do believe they are all pretty much the same but just to be sure, read your manual. With the ravioli, you will need to take one of the four wrapped doughs and cut in half. 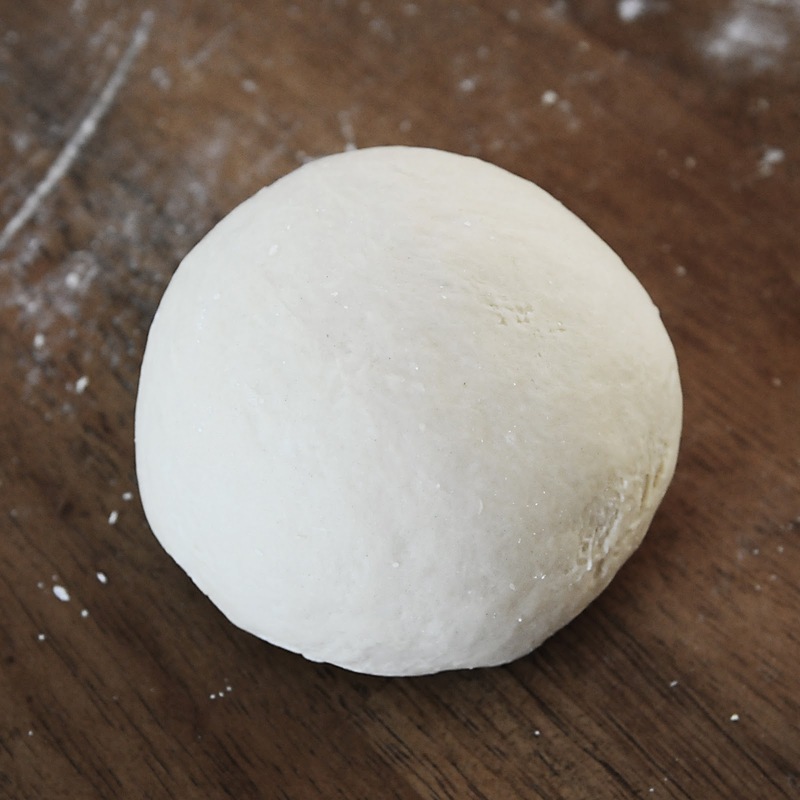 Set your machine to 0, the widest and roll your dough through 2 or 3 times. Each time it comes out, fold it into thirds and re-roll. 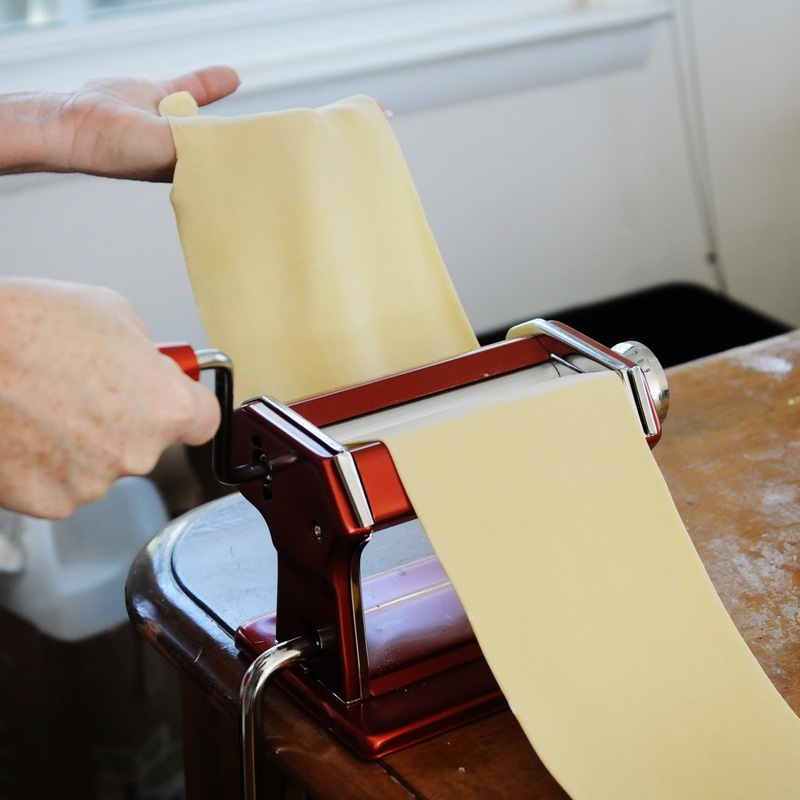 At this point you can start changing the number to make the pasta roller thinner and thinner. For the ravioli, I stopped at 7. (see pictures below) Use your hand to guide the pasta into the machine and use your hands to help it stretch out. The dough is very durable. If it starts to stick in the machine or tear, then you may need to add a dusting of flour. 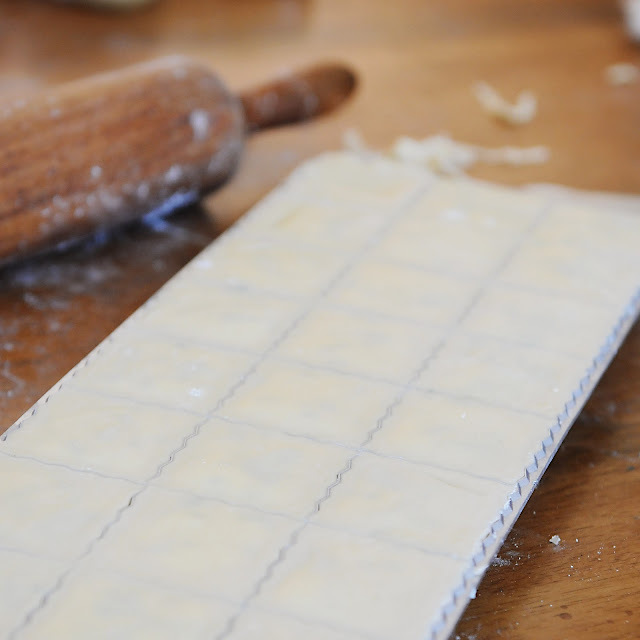 Mix the filling ingredients together and use the required amount to fill your particular ravioli tray. Mine happens to be a square tray with smaller raviolis. The amount used will change with each type of tray. I learned that with my tray, it helped to slightly dust the inside with flour. The ravioli's pulled out much easier. In a large pot you will want to bring 8-10 cups of water to a boil. Add the ravioli's and cook for 4-6 minutes. 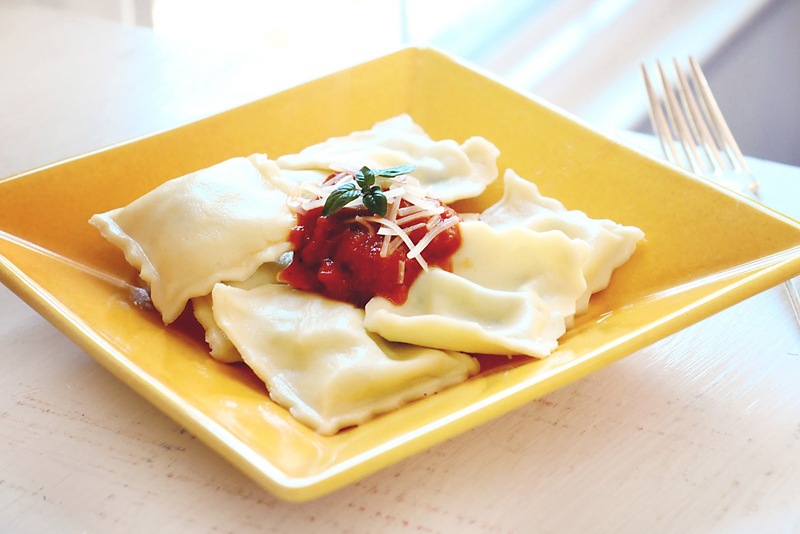 Your ravioli turned out marvelous! I love that beautiful little ravioli tray you have. Last time we made ravioli we cut it with a knife and it made for some very irregular looking ravioli, but it was still delicious! 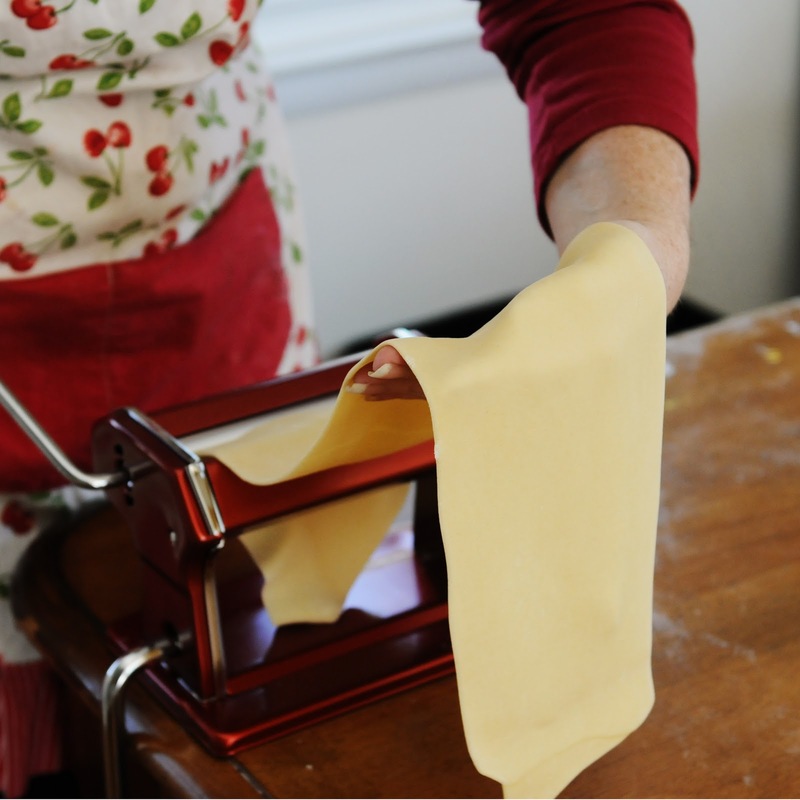 What's better than fresh homemade pasta? My pasta machine has been sitting in it's box since the holidays.. I am hoping this is just the inspiration I need... 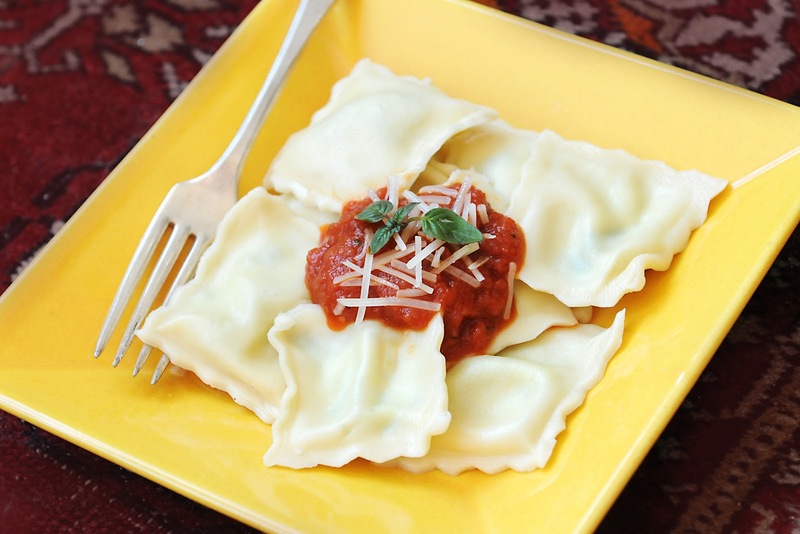 The ravioli look good. You are a girl after my own heart! 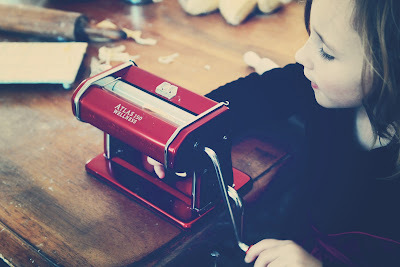 My husband just gave me that same pasta maker for Christmas (except mine is silver, not red.) 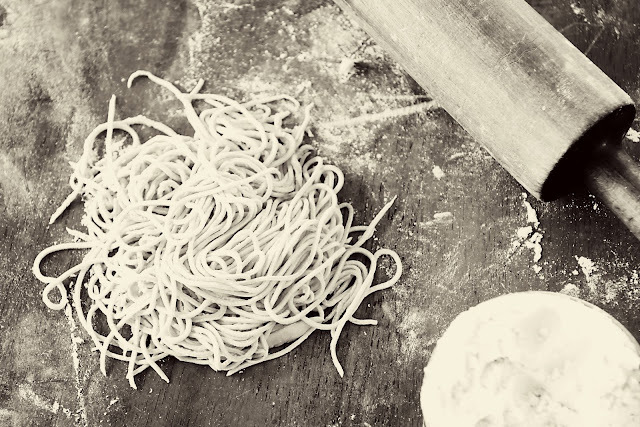 ;) We've been obsessively making pasta ever since! I can't wait to try your rav recipe. Ours flopped. The dough was to thick. I want to stuff mine with sherry and butter sauteed chantrelle mushrooms and caramelized onions. :) Thanks SOOOO much for posting this. I'm going to share it on my ChinDeep facebook page! We have been talking about wanting a pasta maker for some time now... I didn't know if they really even existed! That ravioli tray is amazing - I'm definitely going to have to find one and make this!